Sodalite Heart - This is a beautifully cut and polished Sodalite Heart from China. This Sodalite is nice dark blue with some white streaks. 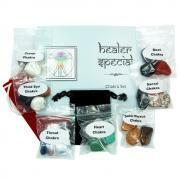 These hearts also feel very nice to hold and can be used during Meditations, for your Clients to hold, or just to carry in your pocket. 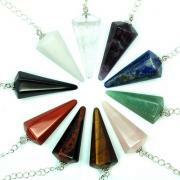 Heart-shaped stones have a tendency to emit loving vibes in combination with the properties of the particular mineral out of which they are formed. 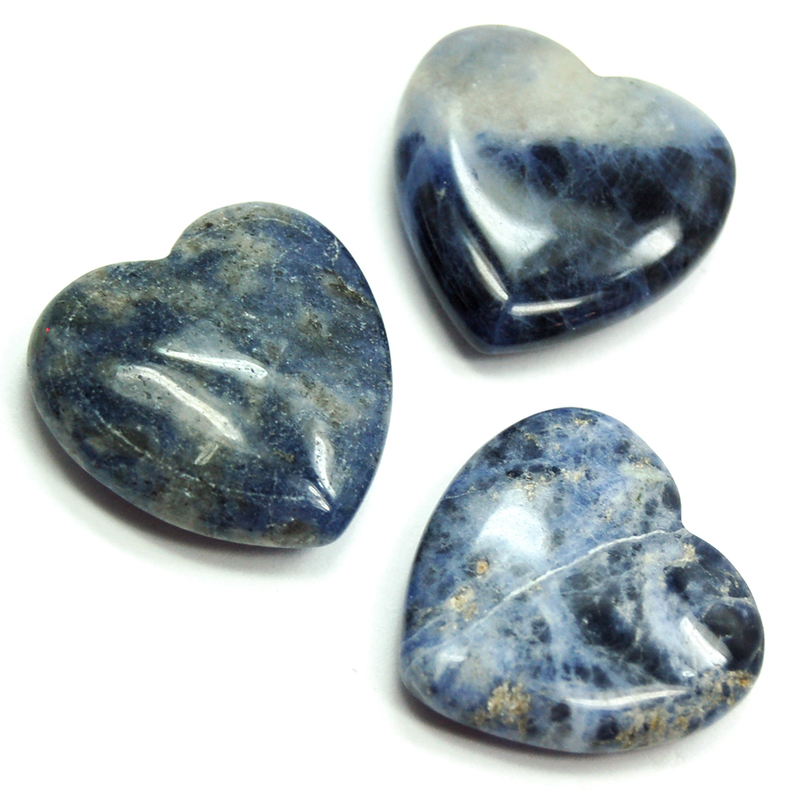 It is in this way that these Sodalite Hearts are able to gently integrate some possibly flat or cold ideas into a warm and loving message for the heart and soul. Carry or hold a Sodalite Heart to help facilitate a sense of internal knowing of the intuitive ideas that are necessary to one's spiritual evolution. Sodalite is also very helpful for those who seem to be encountering many difficulties in their life, as it can bring unhealthy, ingrained patterns to the surface to be released, and it can promote deep self-examination to reveal underlying causes to one's problems. 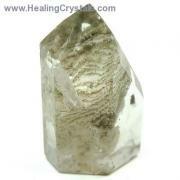 When dealing with such covert issues, one should work with the stone consistently, by meditating with it and possibly sleeping with it under the pillow to help bring productive dreams. 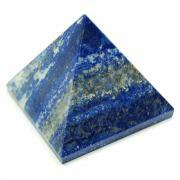 Sodalite is great for the metabolism and the immune system, and is believed to regulate blood pressure.